Dimensions 1 by 6.25 by 9.50 in. Japanese Americans; Evacuation and relocation, 1942-1945; Fiction. Japanese Americans; Evacuation and relocation, 1942-1945; Juvenile fiction. Amazon.com description: Product Description: Ten-year-old Manami did not realize how peaceful her family's life on Bainbridge Island was until the day it all changed. It's 1942, after the attack on Pearl Harbor, and Manami and her family are Japanese American, which means that the government says they must leave their home by the sea and join other Japanese Americans at a prison camp in the desert. Manami is sad to go, but even worse is that they are going to have to give her and her grandfather's dog, Yujiin, to a neighbor to take care of. Manami decides to sneak Yujiin under her coat and gets as far as the mainland before she is caught and forced to abandon Yujiin. She and her grandfather are devastated, but Manami clings to the hope that somehow Yujiin will find his way to the camp and make her family whole again. It isn't until she finds a way to let go of her guilt that Manami can reclaim the piece of herself that she left behind and accept all that has happened to her family. About: Ten-year-old Manami did not realize how peaceful her family's life on Bainbridge Island was until the day it all changed. 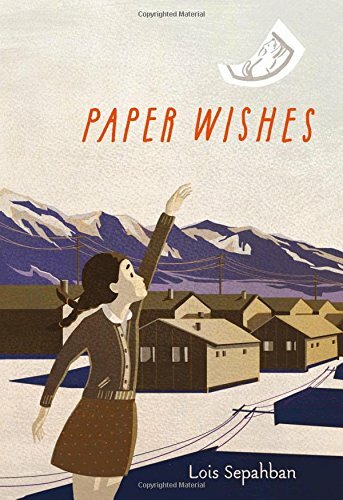 About: A moving debut middle-grade novel about a girl whose family is relocated to a Japanese internment camp during World War II―and the dog she has to leave behind.